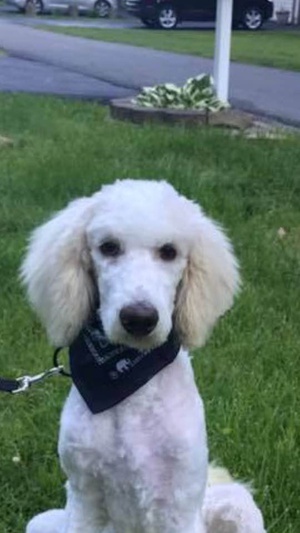 Prince Alexander Benet, or Noodle as my niece calls him, is a standard poodle registered with the AKC (American Kennel Club) and the CKC (Continental Kennel Club). He has an absolutely beautiful stance, yet he is a big goofball. Our entire family loves him, and he hugs like a person with his front paws. He is super affectionate, and though Golden Retrievers are loyal and precious, the Goldendoodle MUST get this hugging from the Poodle. He weighs around 50 lbs.